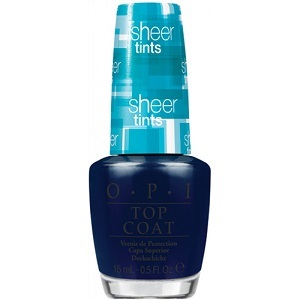 OPI Sheer Tints Top Coat, I Can Teal You Like Me, NTS04, .50 fl. oz. Very sheer medium teal tinted nail color. Great for layering over other nail colors.